These deals are worth using points or a cheap flight to get to Paris. These Etihad flights allow you to combine the best Airbus and Boeing combo, featuring the Airbus A380 from Paris and the 787 Dreamliner to Tokyo. To get these prices, you just need to endure an extra connection in Japan on the way back on the 787-10. The Etihad A380 features not only exquisite flat beds in business class, but also an on board cocktail bar to meet up with friends, slash make new ones. Tokyo is a dream any time of year, but these business class deals can get you there just in time for Sakura season. 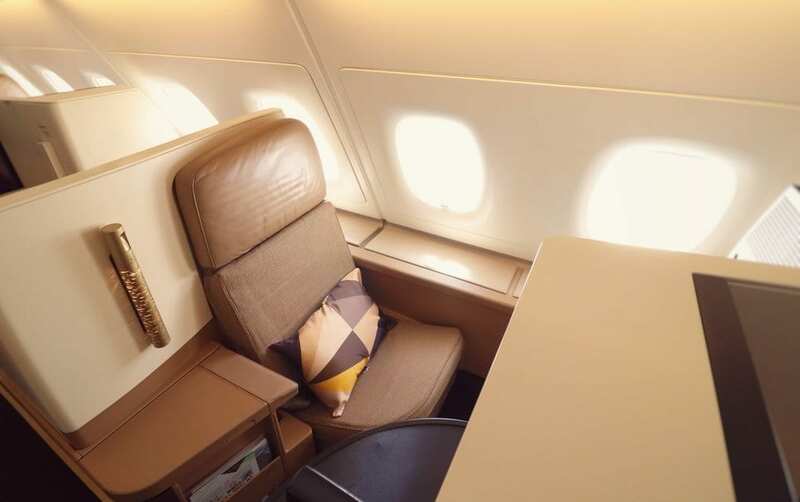 Etihad has these awesome Tokyo offers available in April, May and early June – and then again in September, October, November and the first half of December. These offers require a minimum three nights stay in Japan, and if you want any less, you’re certifiably crazy! You’ll find the lowest prices if you depart on Monday, Tuesday, Wednesday, Thursday or Sunday. Why pounds versus the departure city currency? If everything about this blog is going to be UK based let me know so I can remove you from my Chrome startup windows. I presume most of the readers of this site are from USA and UK, hence the two currencies kept. Also the language is English and I would assume an equivalent French, German, etc. websites are out there. So that means the target audience of GSTP is USA or UK based. And also GSTP gives lots of options and deals, many are not good for me either, but still I think it does worth to follow it. Hopefully the quality of the content will keep the rightful place in your browser. Hey Tim, I get a bit pissed at all the USA $$$ based offers which mean nothing to me but hey ho, just let it ride and pick up the info that is useful to you. Is it bad that I don’t really care where I holiday now, just that its on a route with a J or F cabin I haven’t tried before ?! Here’s a hypothetical question…let’s say you’re a family of 4 (2 adults, and 2 children) who want to take advantage of this deal. To get the favorable pricing, it has to be adult tickets (apparently up to 3 adults), child tickets cause the price to increase dramatically (i.e. 2 adult tickets is less expensive than 1 adult and 1 child ticket). Given this can only be booked via expedia (clicking on the Eithad link via Google Flights doesn’t work) – how would one go about this? Book two separate itineraries of 2 adults so that each child travels on an adult ticket? Or could this cause other unforeseen issues? Particularly since it’s through expedia and not the airline directly? Or is this something that could potentially be mitigated by calling the airline direct? One is a technical stop, which is hardly a “stopover”. The journeys take roughly the same length both ways. It may kill the deal for you, but proclaiming that it kills the deal for all is not accurate. Many have happily booked and relish each take off and landing on a Boeing 787-10.